Every special occasion deserves a very special venue. 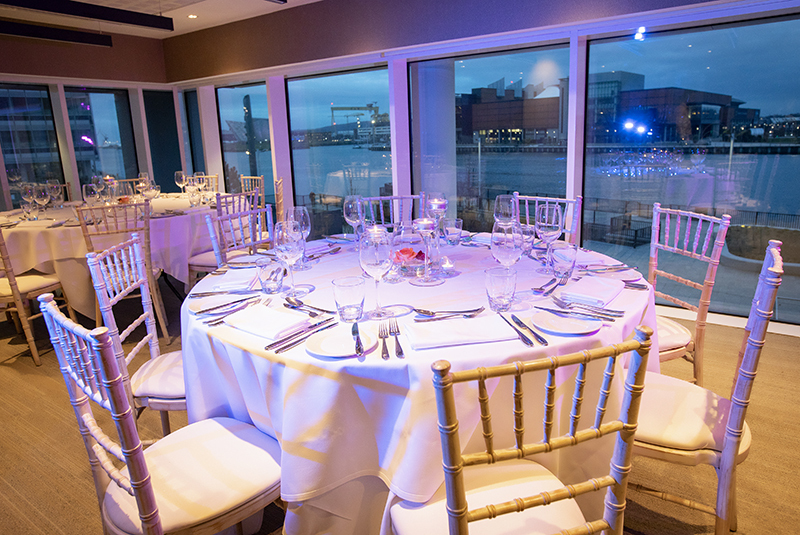 Novelli’s private event room features spaces to suit an array of celebrations, from beautiful and intimate private dining with views over the river Lagan and the cranes of Harland and Wolf, to parties that will not be forgotten our modern and discerning rooms make them a perfect location. Our private dining room, located on the first floor of the AC Hotel Belfast, is perfect for dinner and lunch parties, family celebrations and work gatherings. 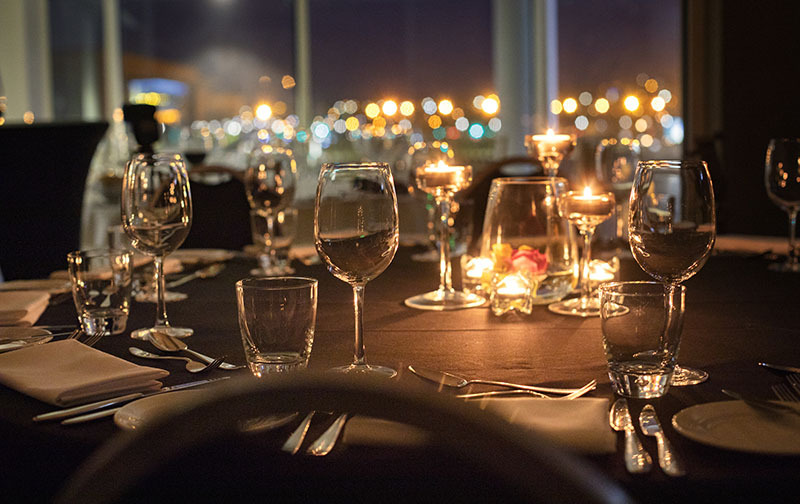 This private room has an atmosphere and style all of its own with outstanding views over the Titanic quarter, accommodating up to 40 guests for dinner and up to 50 people for more informal gatherings. 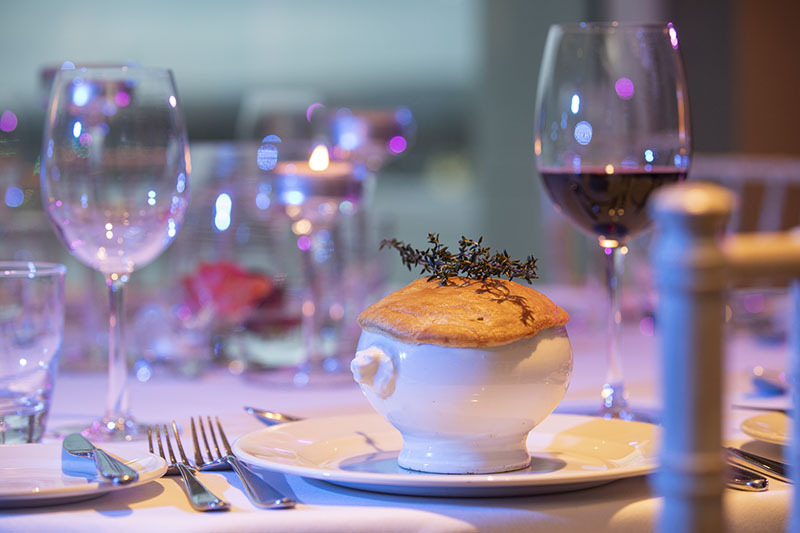 Our talented Executive chef Jim Mulholland and his experienced chefs are experts in designing delicious balanced menus for all occasions tailored to individual requirements. Example menus can be download via the private dining button. Organising a meeting or event, send your requirements to our expert planners for more information on pricing and room availability. Our restaurants hold detailed information on allergens, we welcome enquiries from customers who wish to know whether any meals contain particular ingredients. Please ask a member of my team. Suitable for Vegetarians | Suitable for Vegans. Other dishes are available on request. Gluten-free dish options are available. Gluten-free made with appropriate measures in place to avoid contamination.